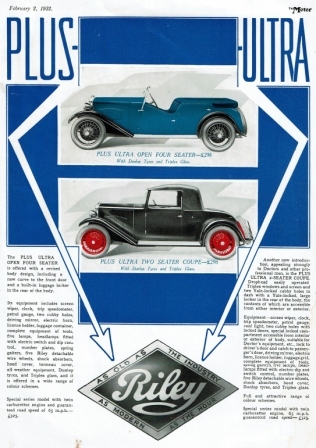 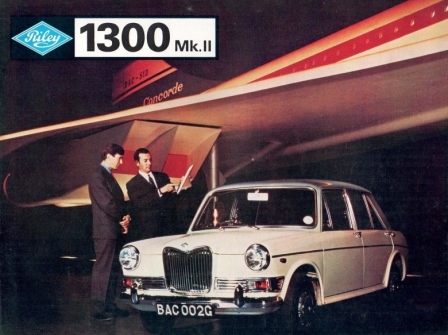 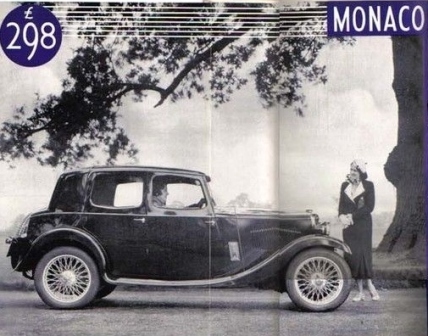 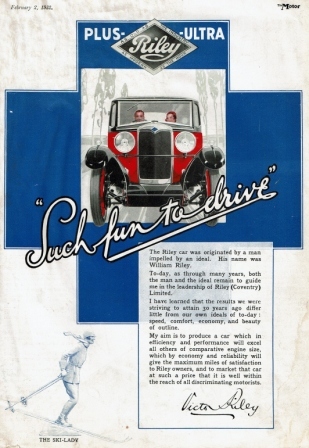 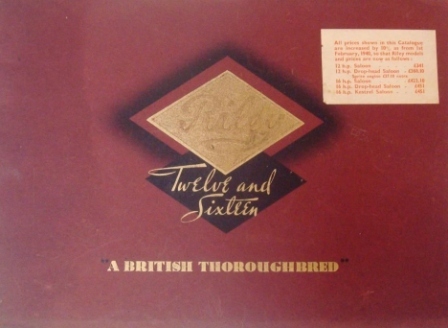 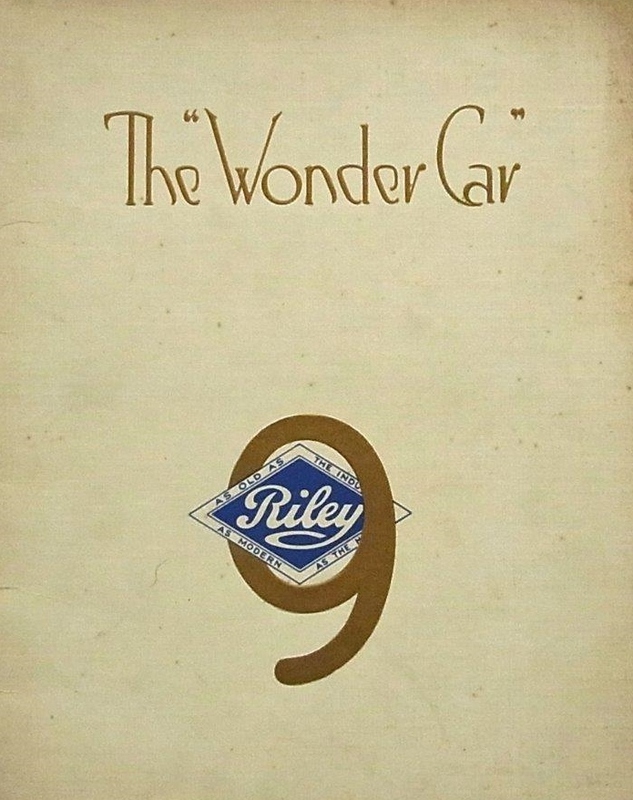 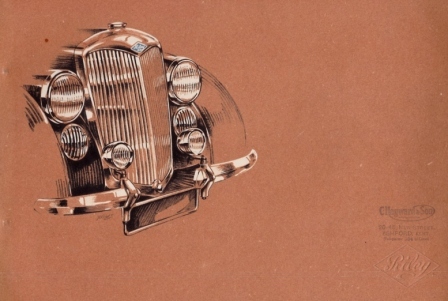 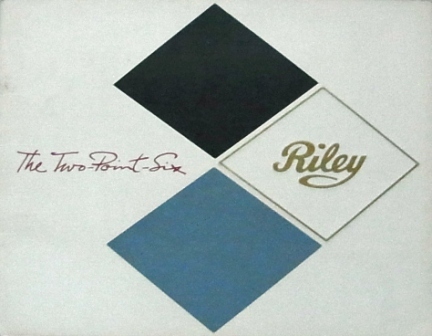 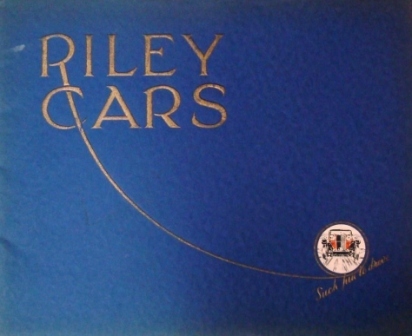 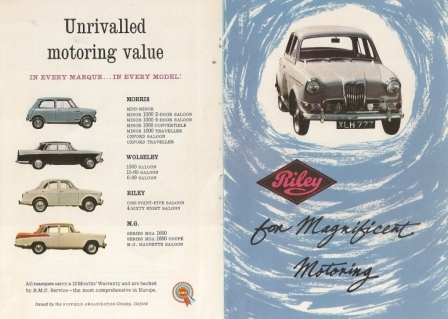 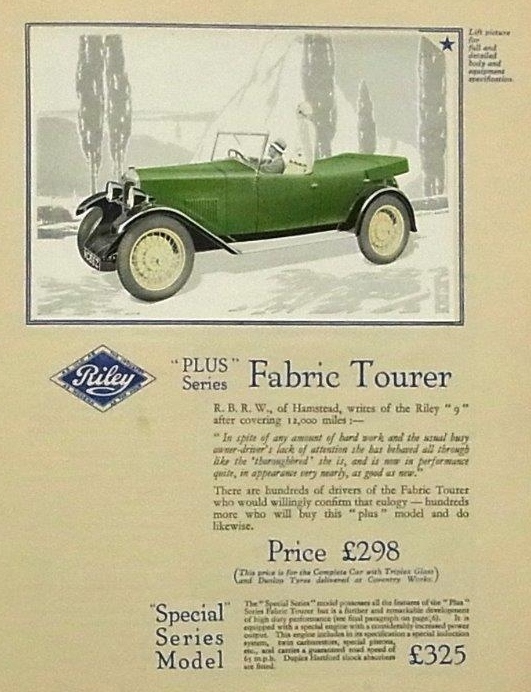 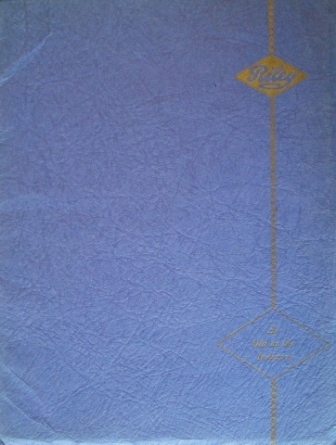 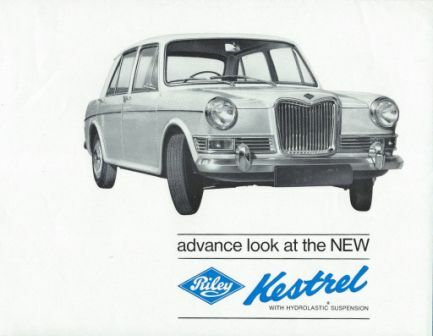 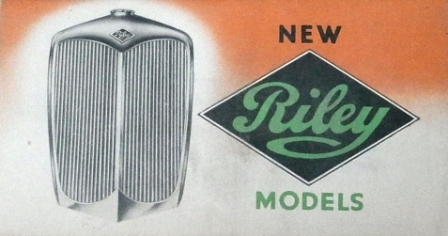 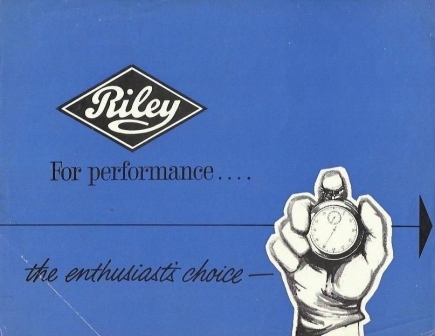 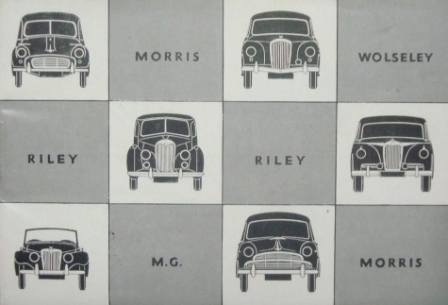 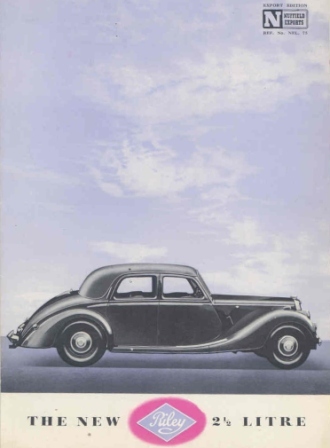 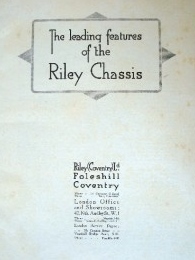 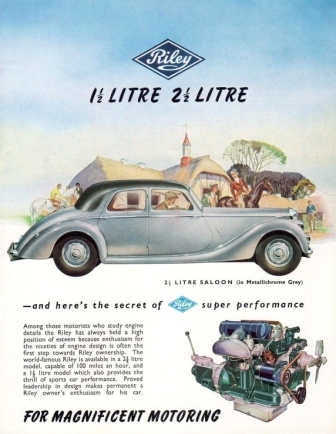 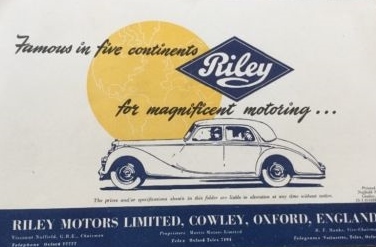 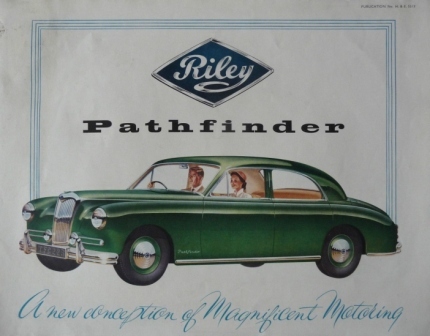 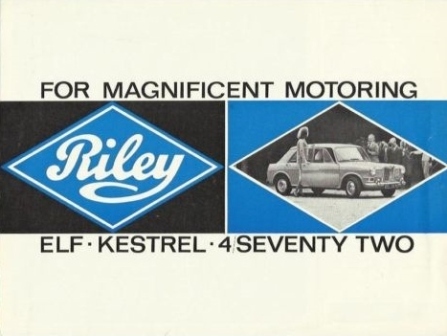 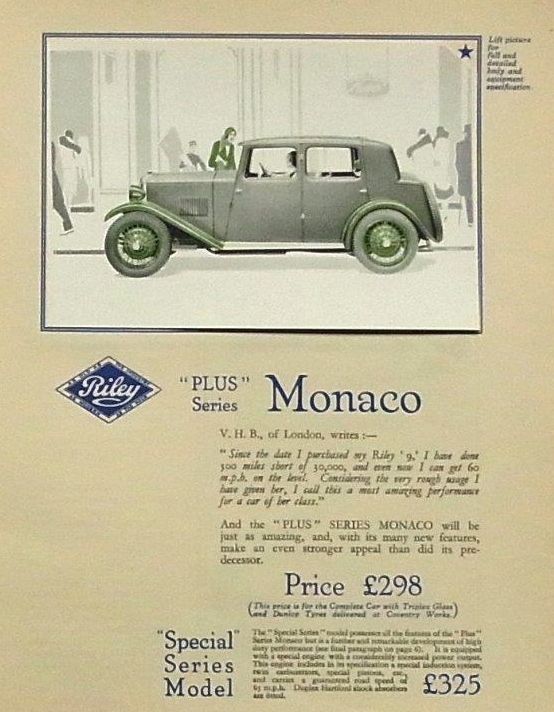 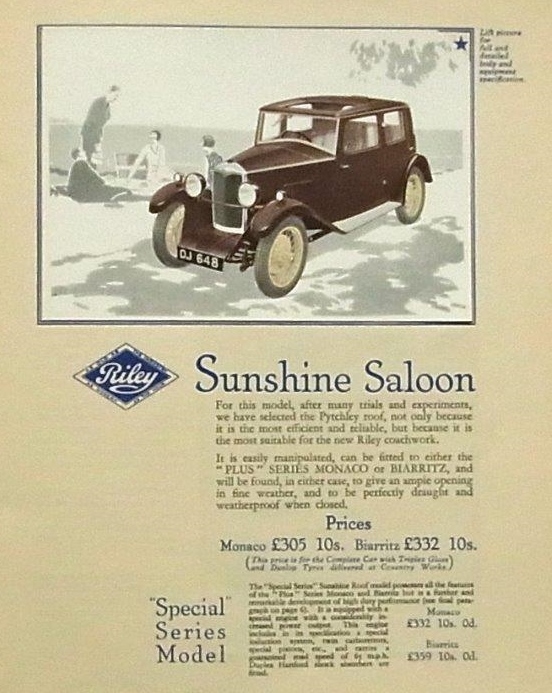 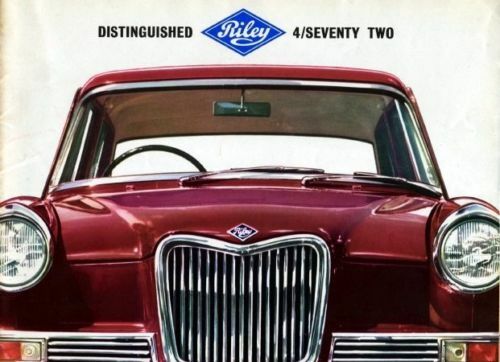 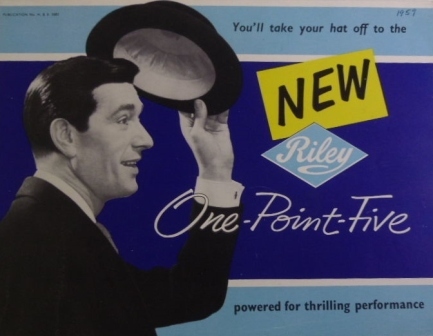 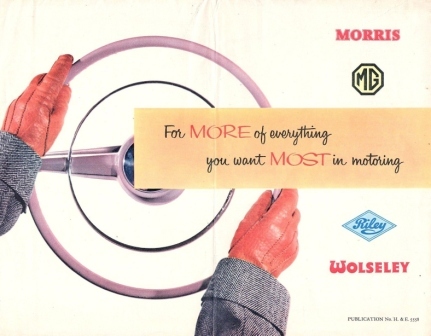 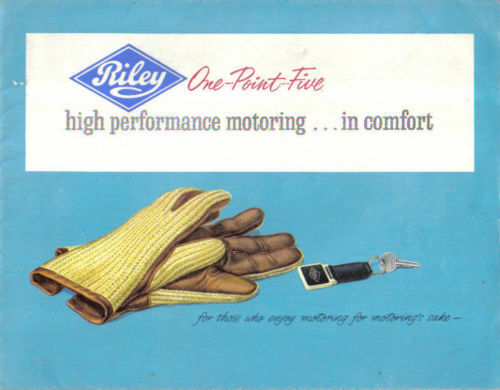 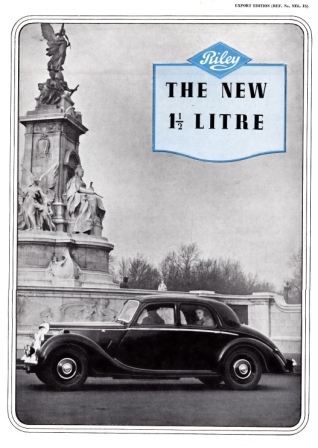 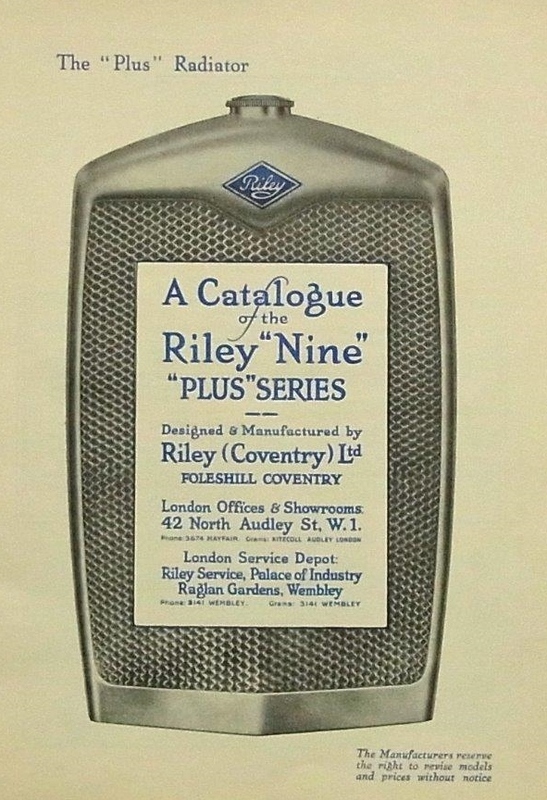 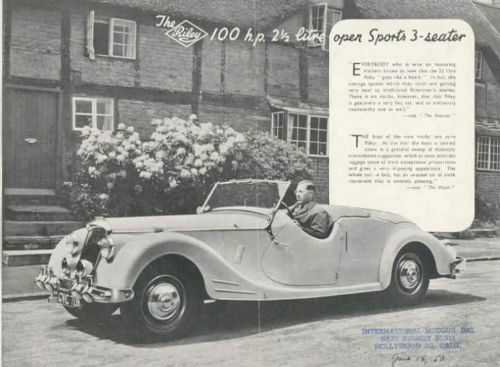 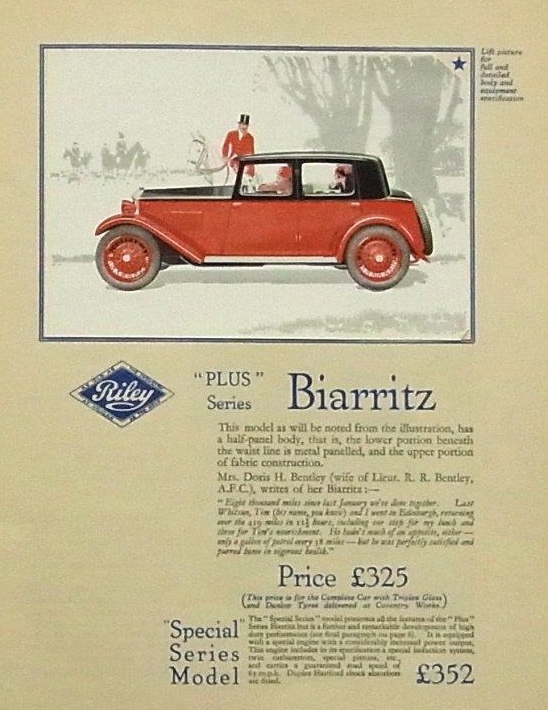 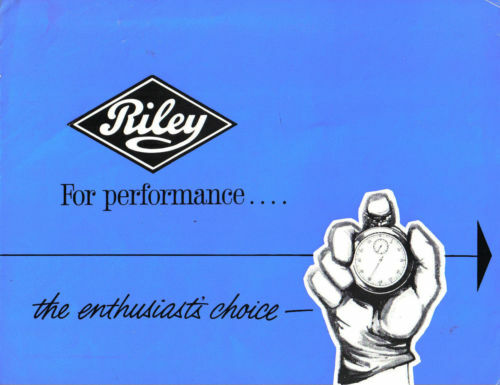 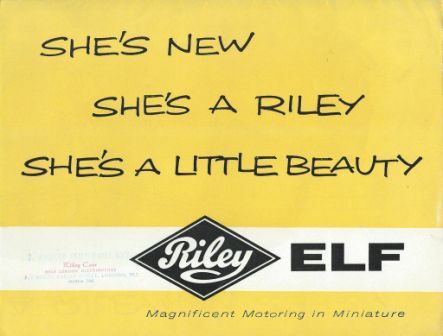 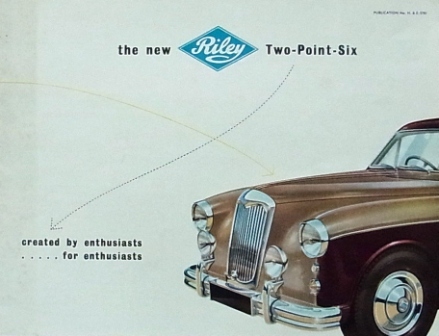 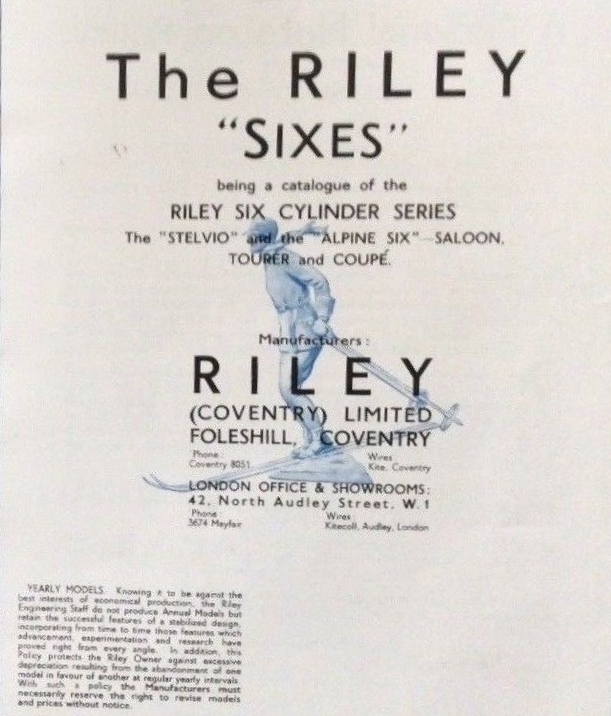 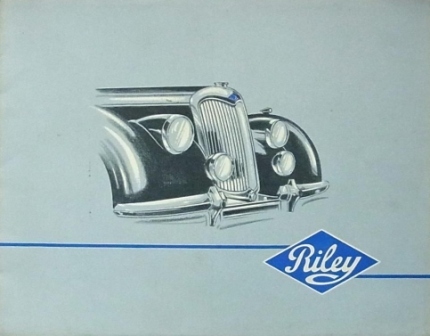 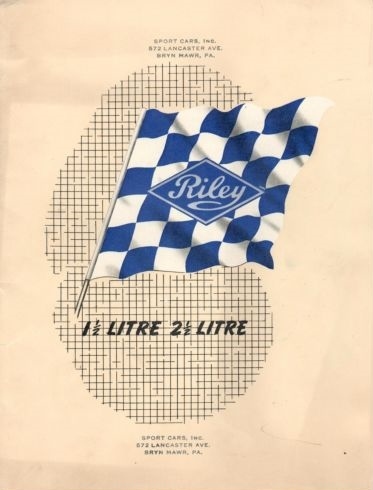 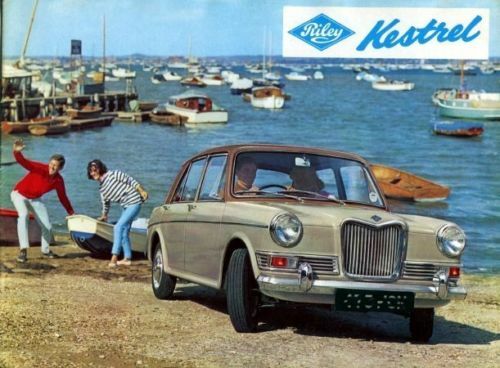 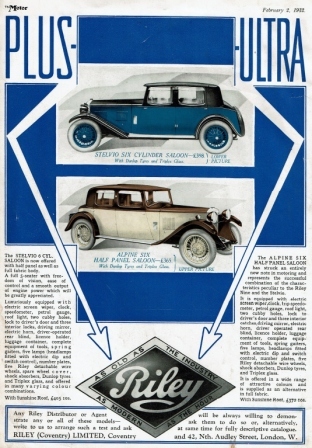 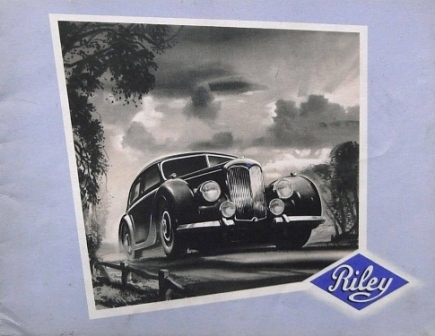 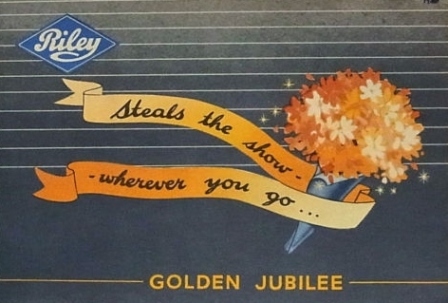 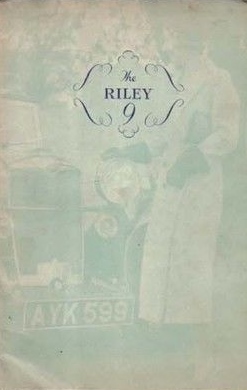 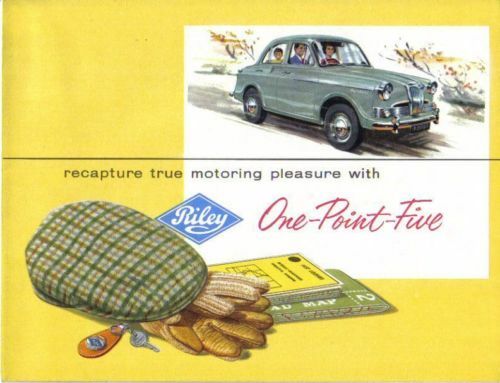 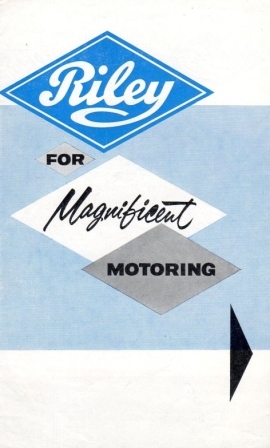 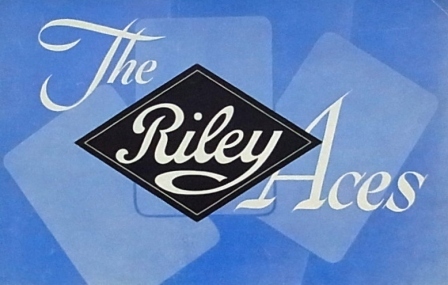 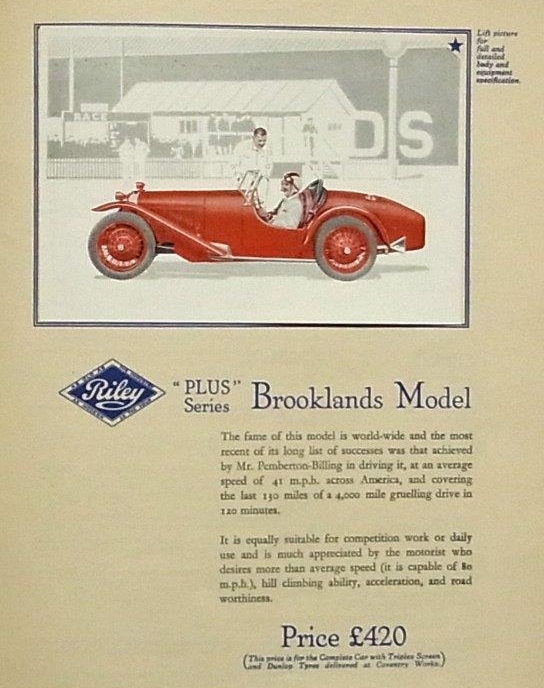 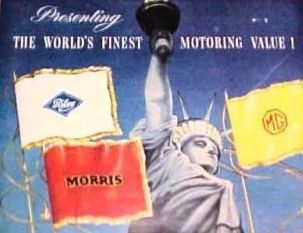 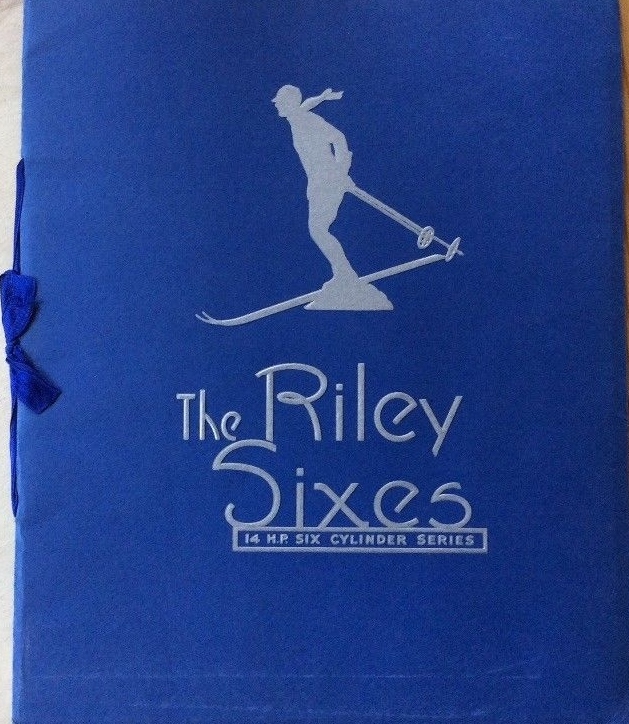 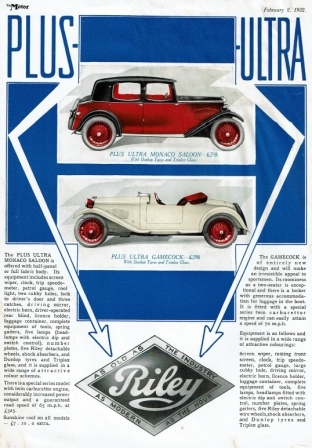 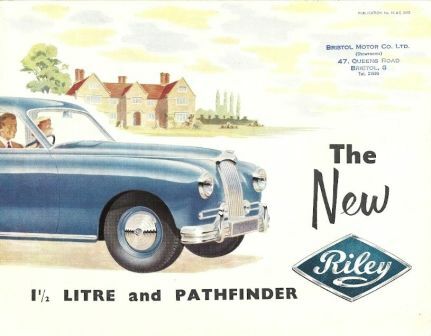 Sales brochures for Riley cars. 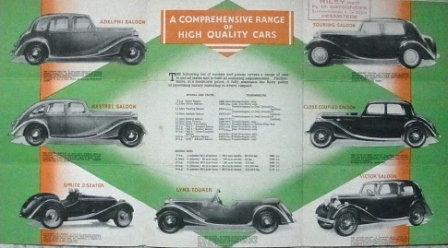 Some show an inside page next to the cover, I have tried to sort them into some sort of date order, pre war, RM's then the rest (All pictures copied from ebay). 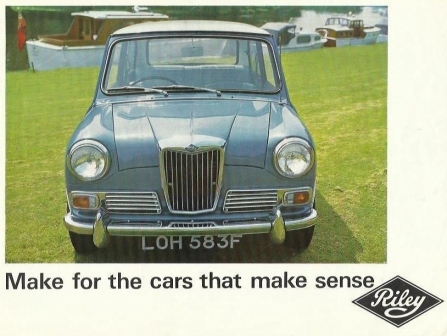 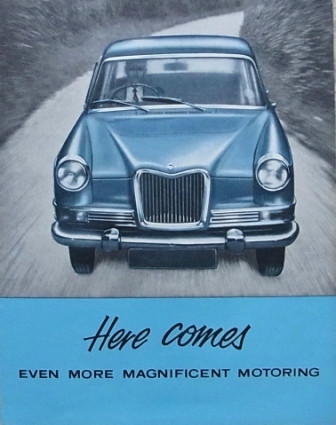 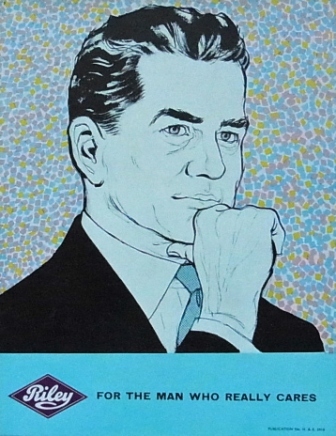 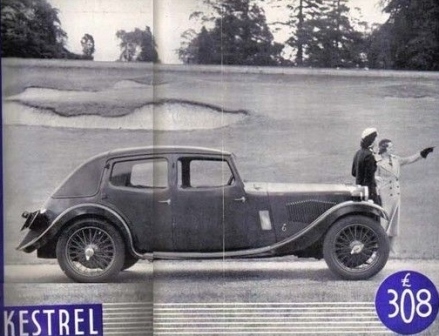 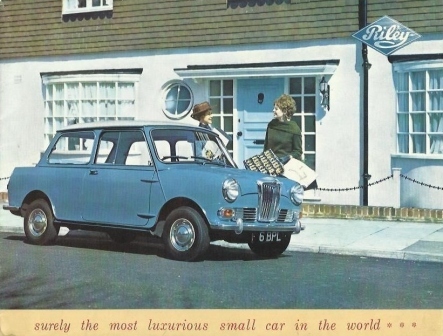 Below - not from a brochure but an advert as good as any brochure.